This beautiful, inspiring book features 100 accessible activities that help you reconnect with your body, mind, spirit, and surroundings, and leave you feeling refreshed and ready to face the world again. Self-care is an essential part of wellness. 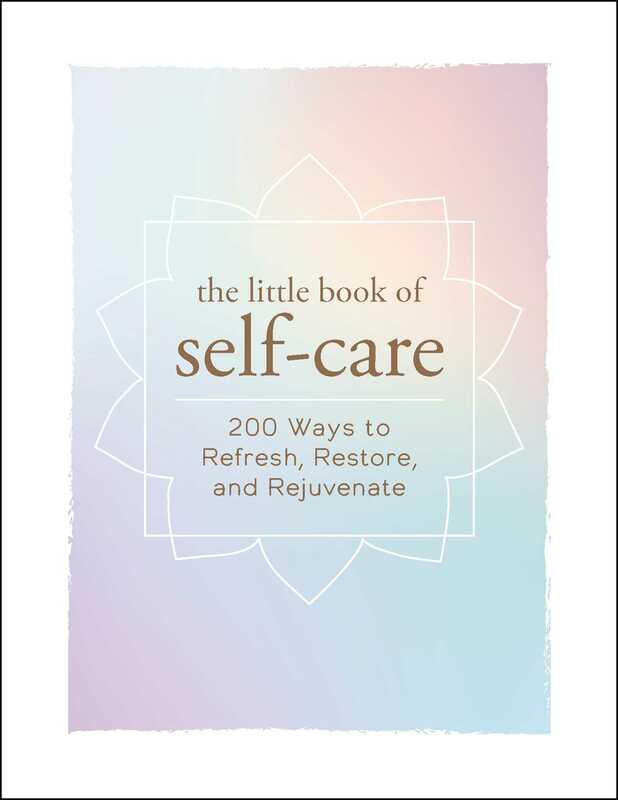 From self-massage to meditations to decluttering, The Little Book of Self-Care provides relaxation exercises to help you focus on your own personal needs in an enjoyable way. By caring for yourself, you’ll learn how to care for the world around you. "Gorgeous - a hardcover keepsake to keep for years to come. I really like the simple ideas (more than 200 of them) that are natural, non-toxic and ideal for a health conscious person." "This would make a great gift idea for anyone but it’s also a nice little treat for yourself to help start the new year. Put it on your desk or at the bedside to help you when life gets a bit ‘cray cray!’"